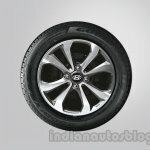 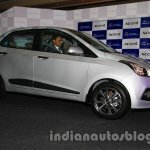 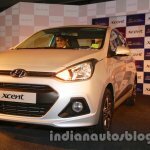 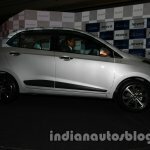 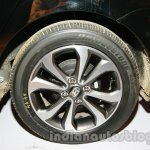 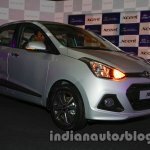 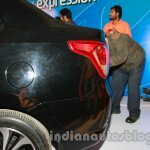 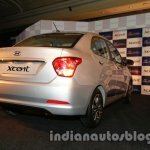 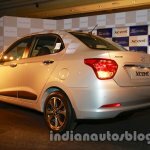 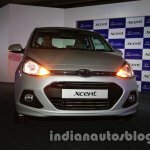 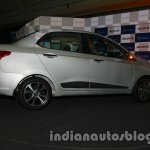 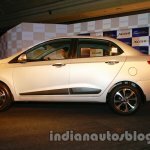 Hyundai's first made for India compact sedan, the Hyundai Xcent, was unveiled today in New Delhi. 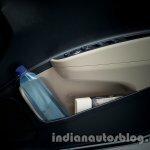 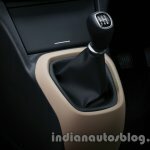 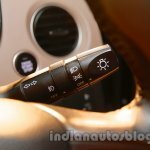 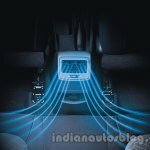 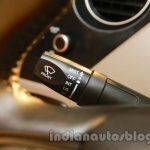 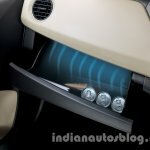 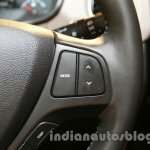 It will be available in both petrol and diesel engines, and automatic and manual transmission. 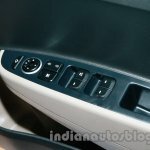 It features dual tone beige and black interiors including seats, multiple storage options on the door trims and center console, rear aircon vents, smart key with push button start, electro chromic mirror with rear camera display, fully automatic aircon, rear parking sensors and camera, 2-DIN audio with USB and 1 GB memory, auto folding mirrors, one-touch electric trunk opening, steering mounted controls with Bluetooth, glovebox cooling and rear armrest cup holder. 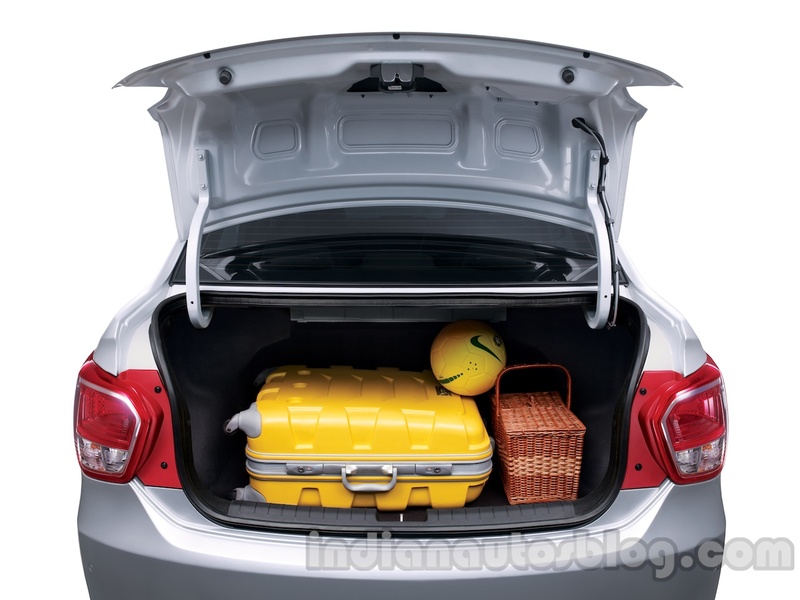 Safety features include ABS, dual airbags, rear parking assist and rear defogger. 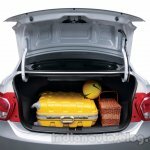 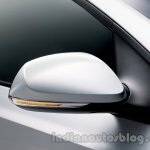 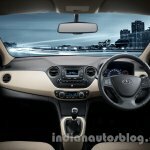 Swept back headlamps, diamond cut alloy wheels, hexagonal airdam, wide daylight opening area, rear chrome garnish, wrap around taillamps with chrome inserts and kick up trunk lid design are the exterior highlights explained by the Hyundai presentation. 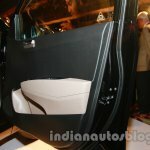 It will be positioned in the lower mid-segment which attracts an excise duty of 12 percent only. 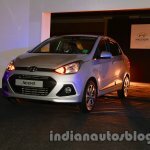 81 percent of the lower mid segment sales is contributed by the sub-4m segment, Hyundai informs us. 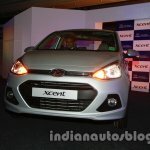 The monthly average sales of the lower mid segment accounts for 29,803 units. 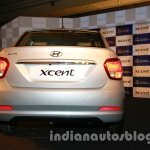 The Xcent is positioned as a stylish and high tech sedan for the families in the late 20s and early 30s who need a distinct car. 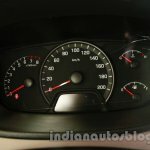 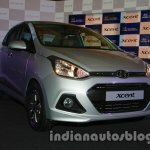 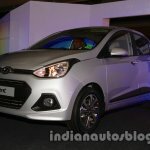 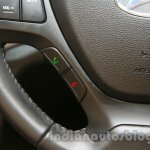 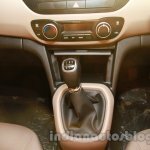 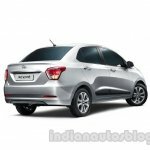 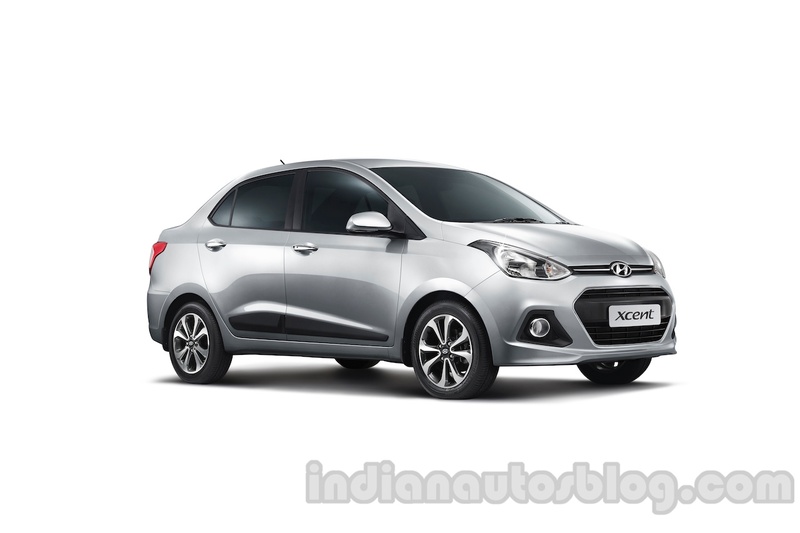 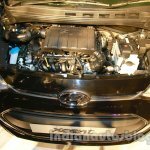 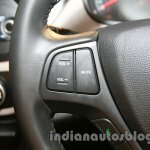 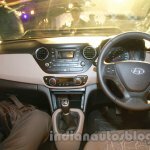 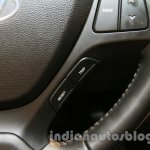 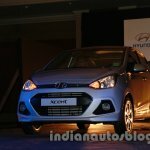 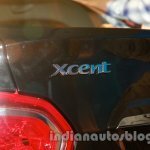 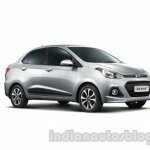 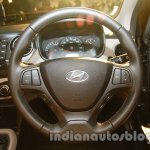 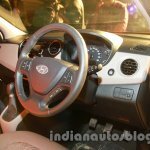 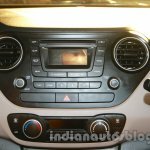 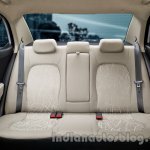 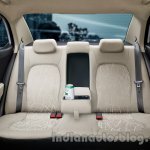 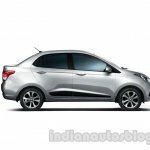 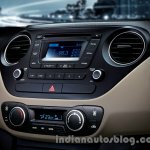 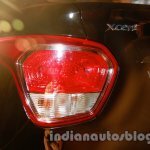 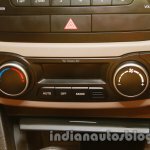 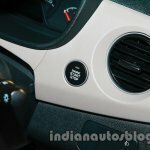 Based on the successful Grand i10 (which has sold over 51,000 units since its launch late last year), Hyundai has achieved 90 percent localization on the Xcent. 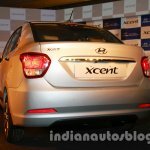 The naming was decided to carry on the legacy of the Accent brand while lending a trendy persona. 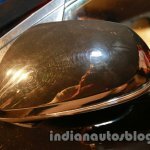 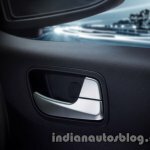 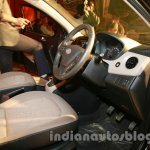 The market launch of the car will take place next month.